This isn't your average autonomous box. The Navya Arma is a glorified box on wheels. Outfitted with numerous sensors and a software suite that lets it drive itself in limited ways on a predetermined course. It moves slow, but it works (I've been able to ride in it), and now it could be yours. Navya announced this week that it is partnering with NEoT Capital to lease an Arma for either 48 or 60 months at 9,500 euros a month. That's not a low cost, but Navya does include, "maintenance, 24/7 monitoring and insurance" in that bill. Navya says it have 35 shuttles in operation around the world, with services in Australia, Switzerland, Luxembourg, and Japan coming online since March 2017. Arma shuttles can't just drive themselves from point A to point B, the way we think about fully autonomous, Level 5 cars. Instead, Arma buses first need to be specifically directed. Think of it as a virtual train track. Once the Arma knows where to go – from the parking lot to the main entrance, then to the delivery dock, then back to the parking lot, for example – then it can basically run the route on its own, continuously. The electric bus recognizes pedestrians and other obstacles and either slows down for them to move or goes around as it continues its route. An Arma can hold up to 15 people. Navya is testing the Arma at the Mobility Transformation Center (MTC) at the University of Michigan, among other locations around the world. Navya says that over 130,000 people have ridden in an Arma, and that's before this new lease program kicks in. 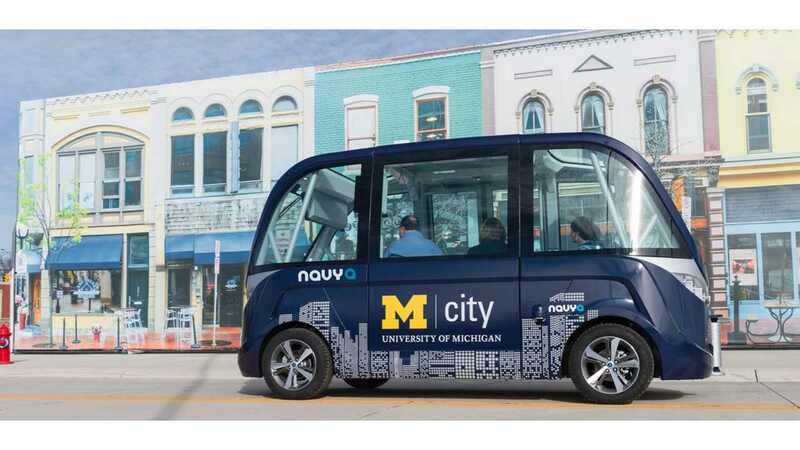 NAVYA and NEoT Capital Have Signed a Partnership Agreement to Develop a Turnkey Service Solution for the NAVYA Arma Shuttle to Help Public Authorities and Private Operators Get Equipped with Autonomous Shuttles. NEoT Capital ('New Energy of Things') is the first ever international company dedicated to funding distributed renewable energies and electric mobility. NEoT Capital recently communicated on the launch* of its NEoT Green Mobility investment program targeting electric mobility, in partnership with EDF and Caisse des Dépôts. This fully autonomous public transport vehicle holds up to 15 people and provides an effective means of easing urban traffic flow while fitting in perfectly with multimodal services already in place. 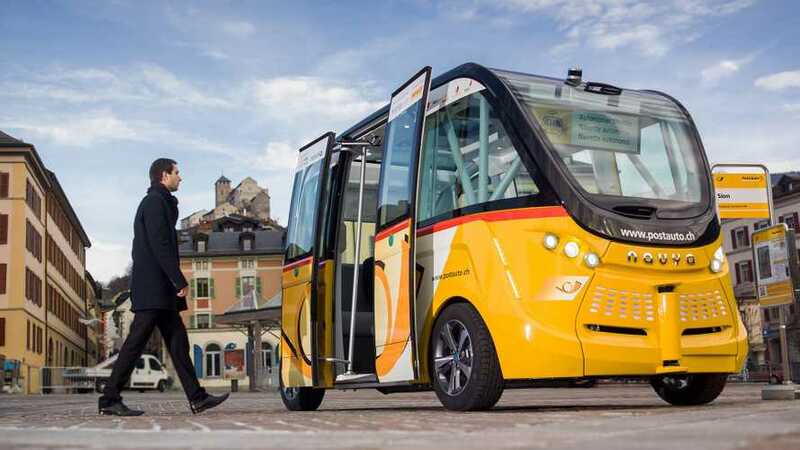 Not only does the autonomous shuttle makes it easier to gain access to areas with little or no public transport service, but it may also provide a more convenient and comfortable means of getting around airports, university campuses, industrial sites, hospitals, convention centers and amusement parks etc. Driverless vehicles also help to reduce the number of road accidents and pollution in towns and cities and also provide an adaptable and flexible transport solution. "The service solution in autonomous mobility that we are launching today is an extremely interesting buying alternative for operators. It meets the increasing need for cleaner and more flexible mobility solutions while keeping financial input to a minimum, providing them with a clear, fixed-rate operating and service budget," explains NAVYA CEO Christophe Sapet. "We are delighted with this partnership enabling NAVYA to develop its extremely innovative turnkey service solution in autonomous mobility. This partnership falls within our strategy to promote electric mobility and develop new economic models," adds NEoT Capital CEO Pierre Devillard. NAVYA, created in 2014, is a French company and leading name in the development of innovative, smart and sustainable mobility solutions. NAVYA develops driverless, automated electric vehicles that are dedicated to first and last mile and independent of all infrastructure. October 2016 saw NAVYA secure a 30 million euro raise in capital together with its original shareholder, investment fund Robolution Capital, Cap Decisif Management with the FRCI Fund (Fonds Régional de Co-investissement de la Région Ile de France), holding company GRAVITATION, French groups VALEO and KEOLIS and GROUP8. NAVYA benefits from major advances in technology in the driverless, electric vehicle sector thanks to a highly-qualified R&D team. Christophe Sapet, its CEO, is supported by a team of 100 people divided up between Lyon and Paris. For more information visit http://navya.tech/ .